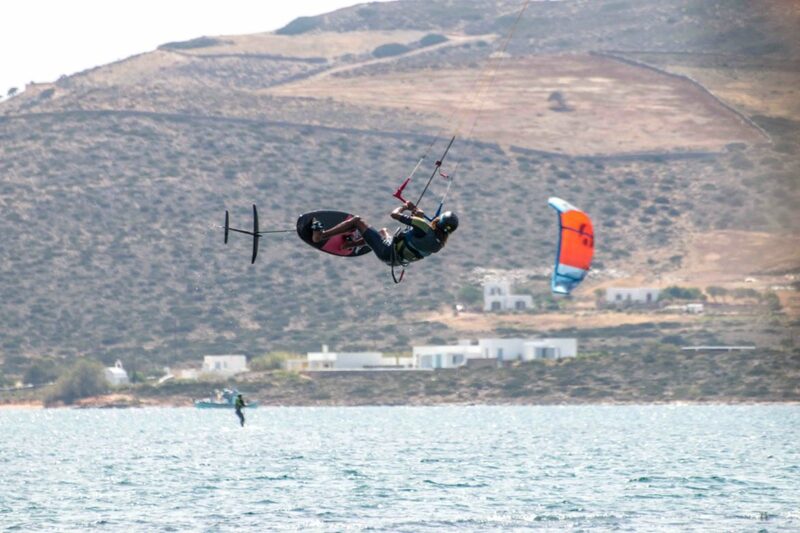 Welcome to the fastest growing sector of kiteboarding “Hydrofoil“ A lot of kiteboarders who have mastered the twin tip or surfboard are looking for a new challenge and want the ultimate feeling of flying and gliding over the water….this it it! The great thing about riding the Hydrofoil is its massive wind range in which you can practice Hydrofoil. Starting of at 6 knots of steady wind this will make you the first in and last out of the water on any day! Our Hydrofoil lessons are offered in 1 hour private sessions. We have split the content into 3 sessions in which we teach you first how to handle and master the Hydrofoil board entering the water, how to bodydrag with it and how to take the position for waterstarting with the Hydrofoil. First lesson is done with a shorter 60 cm Foil mast to make the control easier for you. In the second session we intensively train how to balance your body to keep the Hydrofoil board steady, keep in mind that small movements have big impact on the behavior of the Hydrofoil wings. In the third session we will teach you how to go upwind and gain more speed with the Hydrofoil board. First turns are possible if the student has previous skills on directional boards. To support our Hydrofoil lessons our experienced instructors will be next to you on a Jetski to secure maximum progress and safety. Hydrofoil lessons are just offered to independent Kiteboarders that know how to ride constantly in all directions including upwind. High skills in water relaunch of the kite are necessary to secure the success and to achieve the goal to learn how to Hydrofoil. 1+ 1 student to instructor ratio. * Price per person. 1+1 student to instructor ratio. * Price per person.